MEAT & Livestock Australia’s team of international business managers flew into Rockhampton from all corners of the world last week to share the latest insights on consumer trends and the work MLA does in various markets to market Australian red meat. Korea – Asia’s beef capital? If Rockhampton is Australia’s beef capital, South Korea could be regarded as Asia’s beef capital, Mr Cox said. Korean consumers eat more than 30 percent more beef per person than Japanese consumers. South Korea is Australia’s third largest beef export market, taking 15pc of Australia’s total beef exports. Unlike in Japan, US beef has a more favourable tariff arrangement in South Korea than Australia whih gives it a competitive advantage on price. Australia’s market share has been hit harder by US competition in Korea than in Japan. “There has been a rapid increase in American imports (in Korea), but once again it is not like the US has taken all of our market share, in fact it has added extra beef into the market,” Mr Cox said. Working in Australia’s favour, like Japan, is the fact that Korean consumers are even more concerned about country of origin than Japanese consumers, and Australian beef is held even more strongly in the hearts and minds of consumers in Korea than in Japan. Australian beef in the market is held in particularly high regard for the three key attributes of “ideal environment, healthy and natural, and enjoyable and friendly”, according to MLA market research. Is there a future for grassfed beef in Japan and Korea? 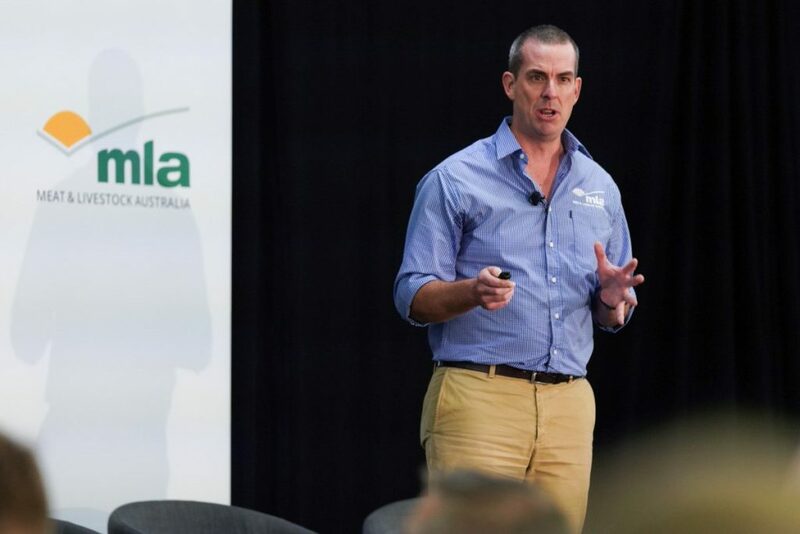 Exports of chilled Australian grassfed beef into the United States continue to climb, according to MLA’s international business manager for North America Rob Williams. Chilled grassfed product represented 11 percent of Australia’s total exports to the US six years ago. This year the amount has risen to 25pc. A key component of MLA’s work in the market involves ensuring Australian grassfed beef is clearly differentiated from other competitors in the market including Uruguay, New Zealand and Ireland, and local US grassfed producers. “Particularly with that clean green image and also the great affinity the US has with Australia,” Mr Williams explained. “Our consumer tends to be a 25-41 year old, typically female, very digitally savvy, usually wealthier earning around $90,000 a year, and they’re really looking for those perceived health benefits of grassfed beef – ‘better for me, better for my family, better for the environment, better for animal welfare’”. Mr Williams said that while grassfed beef has traditionally been consumed in the food service area, it was now growing in popularity in other segments including quick service restaurants and fast and casual dining. “What we would call the Chipotle model is taking off in the US, that is particularly among the younger consumer. The growth of these segments between particularly quick service restaurants, fast casual and casual dining, we have seen 140-200pc growth in the menu placement of these products, so that is good news for us”. Mr Williams said grassfed beef was also growing in popularity in the retail/supermarket sector among premium shoppers. Improved market access conditions and tariff reductions for Australian beef into Mexico is starting to result in some chilled grassfed product at premium prices being exported to the market. Volumes remain very small but Mr Williams said they are expected to grow gradually in coming years. Mexico has a similar sized population to Japan but a younger demographic and a growing economy. “For a developing or emerging economy, Mexico has quite a high expenditure at food service per capita, so we think whilst Mexico is not an immediate opportunity, we have put together a 3-5 year strategy to try to lay the foundation for the future,” Mr Williams said. Improved market access is likely to continue longer term for Australia under the Trans Pacific Partnership. 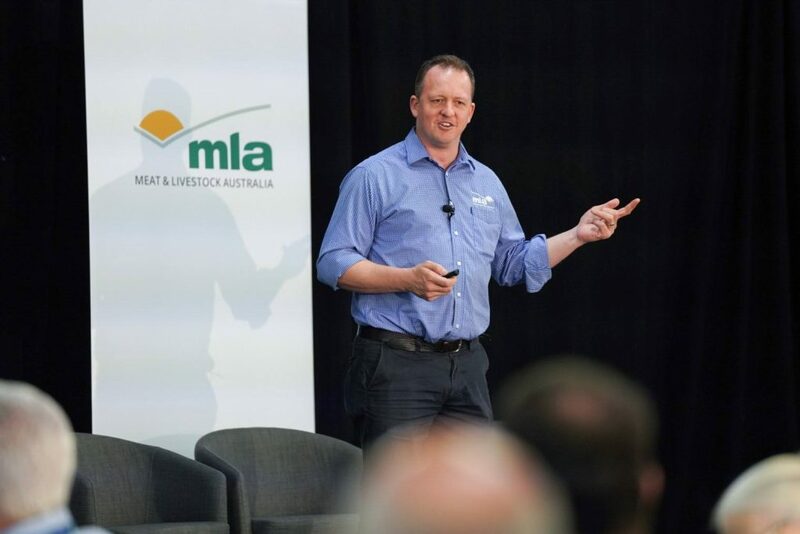 One example of some of the novel and more innovative approaches MLA is taking to boost consumption of Australian beef was outlined by MLA’s Domestic market manager Graeme Yardy at the global markets forum. MLA has a team that works with food service professionals to help them to understand how to get the most out of red meat. Here’s one example of the difference it can make: MLA’s corporate chef and food service manager Sam Burke has been working with the Sodexo Group which supplies food and catering services to some of the big mining sites in the Pilbara. Sam held an innovation master class working with Sodexo chefs to develop different ways of serving red meat on their menus. During that process he developed an “Australian beef meatball pocket”. Mr Yardy explained that just through the addition of that item on the menu, which proved very popular, one mining camp alone began serving an extra 1.2 tonnes of Australian beef every day. 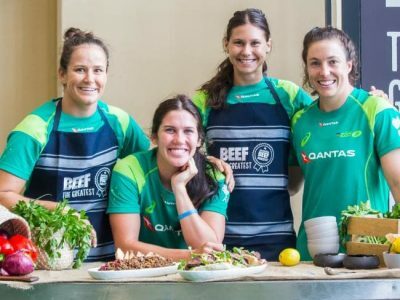 Australian women’s rugby players celebrate Aussie Beef, the greatest. 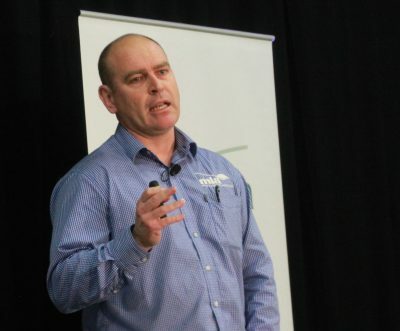 All great info James, but what would be of real value to the producer is an estimate/forecast/prediction of where the EYCI might track over the next 12 months…?? Supply, demand, etc is all great info and interesting but it doesn’t go very far in helping a Producer create a financial budget/ forecast for the next 12 months…MLA seem to have all the supply/demand data, put this into something tangible and of value for the Producer, which is a $ figure, most easily is the EYCI.